NEW YORK -- The Greenwich International Film Festival announced the honorees for the 2nd annual Changemaker Gala, which will take place on Friday, June 10th with a cocktail reception at Betteridge, followed by an awards dinner and gala at Richards in downtown Greenwich. This prestigious awards dinner is set to honor artists who have used their public platform and the power of film to further positive social change. This year, Trudie Styler and Abigail Breslin, will be honored for their humanitarian work. Kathie Lee Gifford will serve as Master of Ceremonies and Musician Blessing Offor, a past finalist from The Voice, will perform during the gala. Last year's honorees included Harry Belafonte and Mia Farrow. Trudie Styler (Director, Producer, Actress) will receive the "Changemaker Award" for her work with the Rainforest Fund, a charitable foundation dedicated to the support of indigenous peoples in South America, Africa, and Asia and traditional populations in their efforts to protect their environment and fulfill their rights. In 1989, Trudie and her husband, Sting, started the organization, raising more than $30 million for the cause. It is their goal to make sure the accepted environmental and human rights principles embody the right of everyone to a secure, healthy and ecologically sound environment. Environmental degradation leads to human rights violations such as the right to life, health and culture. Academy Award-nominated actress Abigail Breslin (Scream Queens, ABC's upcoming Dirty Dancing Musical, Little Miss Sunshine) will receive the "Rising Changemaker Award." She has chosen to work with the National Coalition Against Domestic Violence (NCADV), an organization that acts as a catalyst for changing society to have zero tolerance for domestic violence. By affecting public policy, increasing understanding of the impact of domestic violence, and providing programs and education that drive that change, NCADV is able to help create a society that empowers victims and survivors and holds abusers accountable. A portion of the proceeds from The Changemaker Gala will go to support the Rainforest Fund and the NCADV. "It is an honor to celebrate both of these women by presenting them with the Changemaker Awards this year," said Wendy Stapleton Reyes, Chairman of The Board of the Greenwich International Film Festival. "They have worked hard to have their voices heard in a relentless effort to serve the greater good on a global scale. We are proud to have them as a part of our film festival." 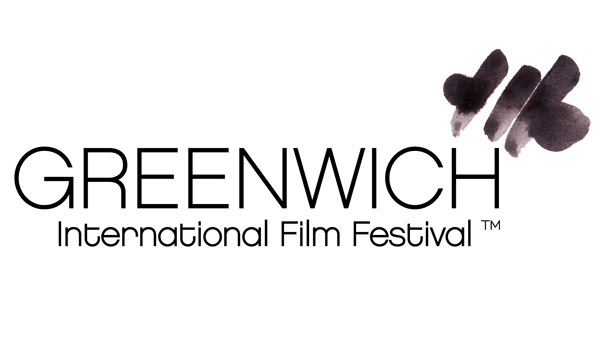 The Greenwich International Film Festival is set to run June 9-12th. Tickets go on sale May 12th at 9:00 a.m. and will be available for purchase at greenwichfilm.org. The Festival's full film slate will be announced on Wednesday, May 11th. As previously announced, the festival will screen Rob Burnett's THE FUNDAMENTALS OF CARING, Sophie Goodhart's MY BLIND BROTHER and Kim Snyder's NEWTOWN as part of its Centerpiece film program.